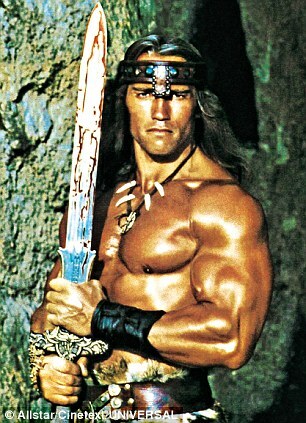 While that made for good cinema… it is not what is best in life. It turns out that almost all the advice you get from media is just downright lame. We spend our days (I did) racing to please someone or something. We race to please our boss, please our kids, please our spouse, our friends – you name it. We race to keep up appearances – Heaven forbid that we are possibly not a perfect person – that we don’t have the latest iGizmo, drive the newest vehicle, wear the best clothes, have perfectly manicured toes, plucked eyebrows or skip a day shaving. That is NOT what is important. That is a distortion sold to us by the magic “buy this” box. Do NOT get caught on that treadmill – there is no reaching the finish. I urge you to focus on what is important. What is that? This is a more than just decent advice. It is a recipe for happiness. There is no joy at the end of the consumption race. There is only joy in being the best “you” possible, and in doing that, the best “you” for those in your life. 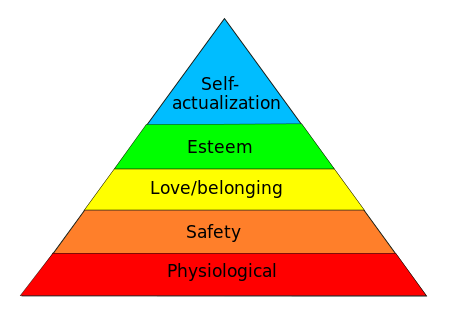 Abraham Maslow, in his famous Hierarchy of Needs, listed Self-actualization as the highest and most advanced. Things like breathing, eating, shelter etc. are the most important when they are not present, but once your basics are handled, it is important to switch from a position of need to a position of being. If you are still caught in the battle for things, recognition, keeping up appearances etc… I urge you to take inventory of your basic needs. Take inventory and you will see that you likely already have food, you have water, you have shelter, you may even have someone in your life who loves you and appreciates you. If you do have those things… esteem is next on the list. Don’t try to buy your way to esteem. Try to be your way to esteem. You do that by practicing the items in the above bullet points. PreviousEarlobe Crease – Heart Disease or Age? NextTo run or not to run?